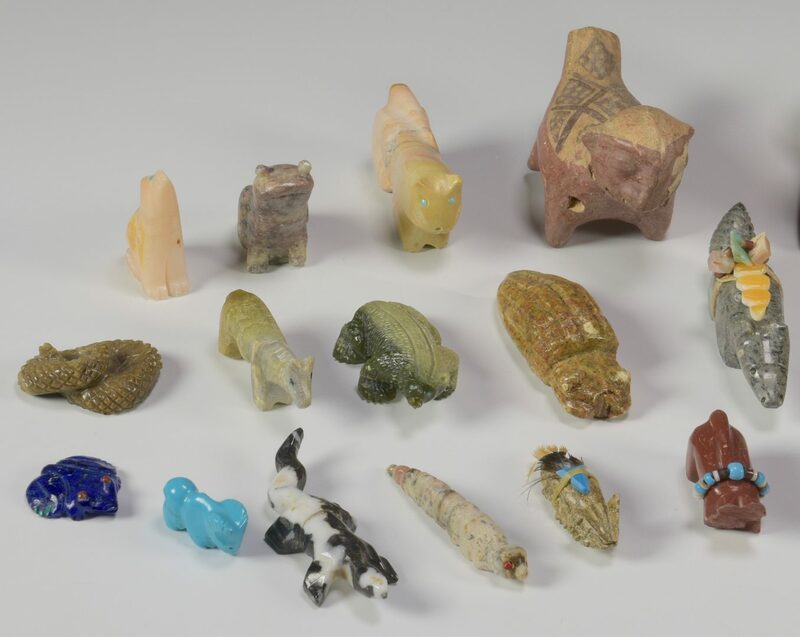 Group of 40 Native American stone and ceramic fetish figures. Includes a Zuni carved stone bird with mother of pearl feet and turquoise ornament, labeled Evalene Boone, 2" H; redware squirrel and 3-color pottery skunk (? 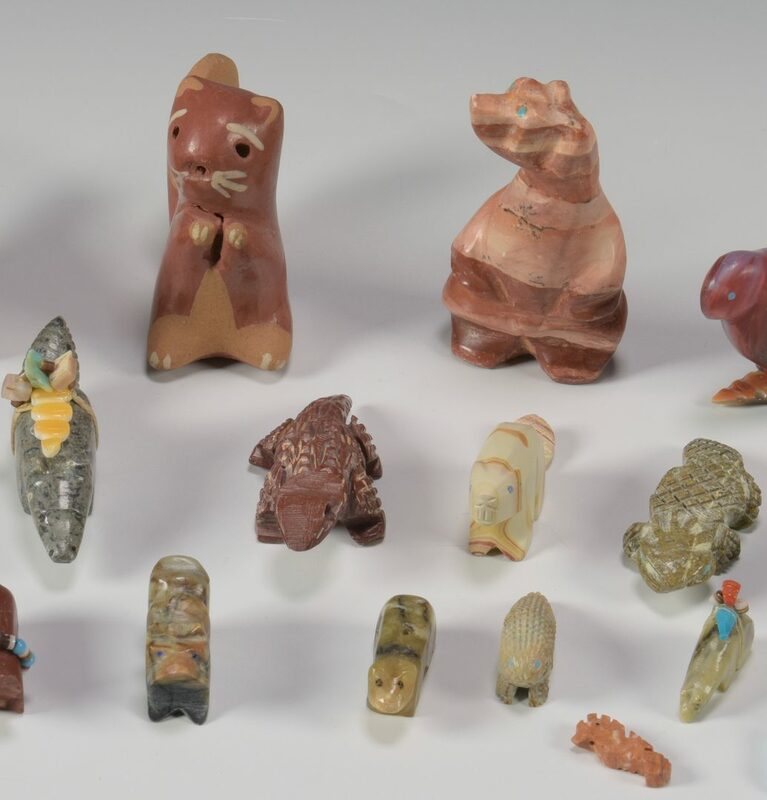 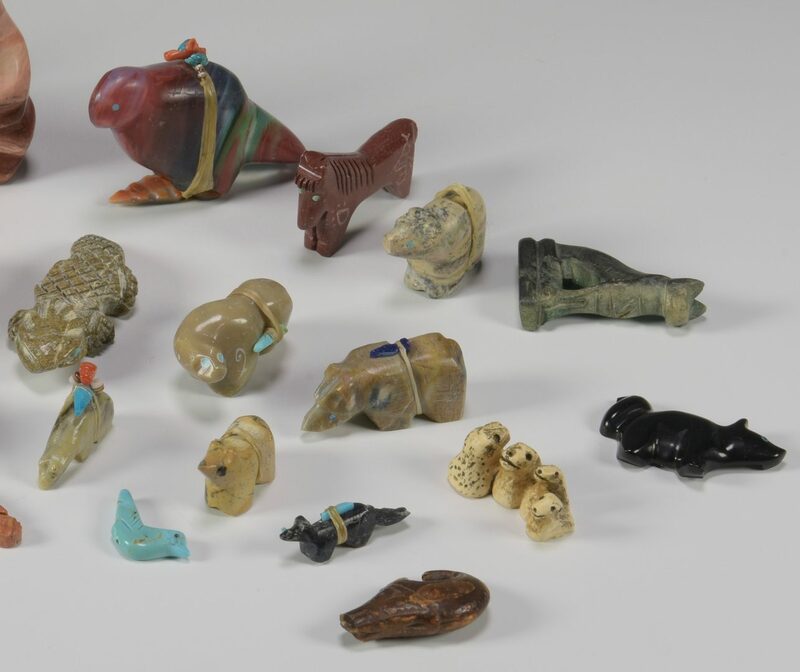 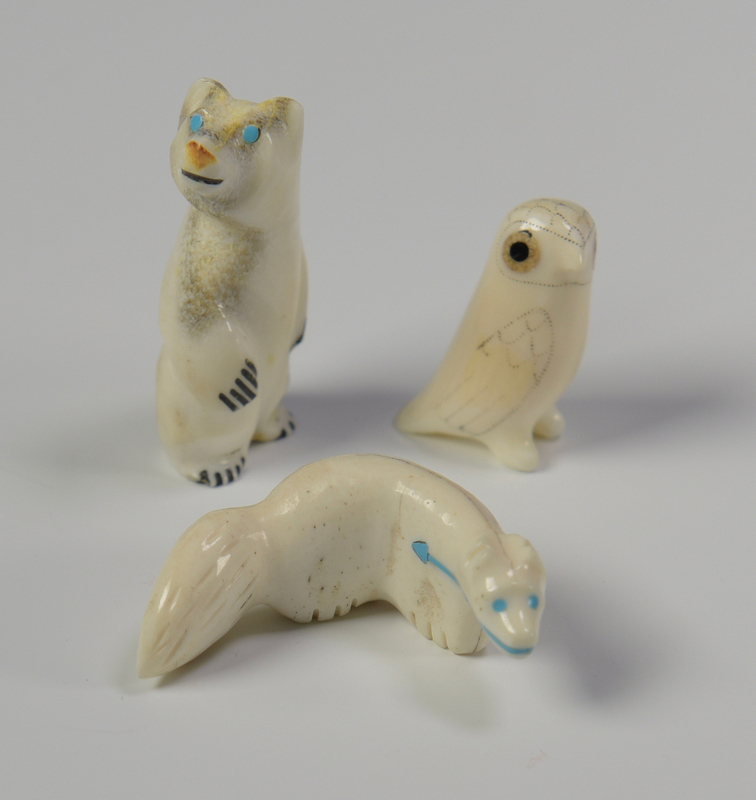 ), unsigned, and 37 other carved hardstone animal figures including bear, prairie dogs, frog, snake, armadillo, cat, porcupine, bird, horse, and more. 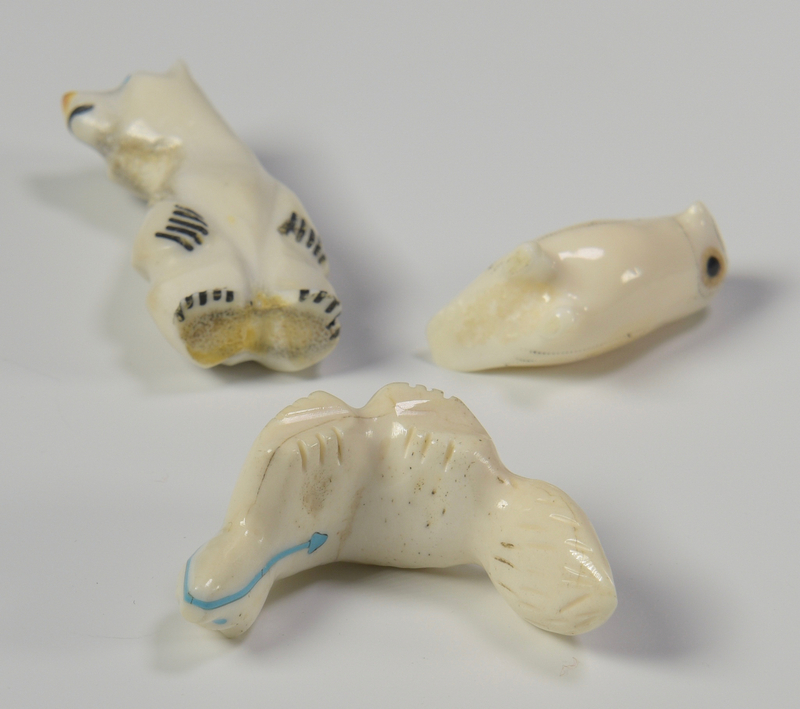 Average size about 1" L. Provenance: consignor is an archaeologist who worked and traveled in the Southwest in the mid 20th century. 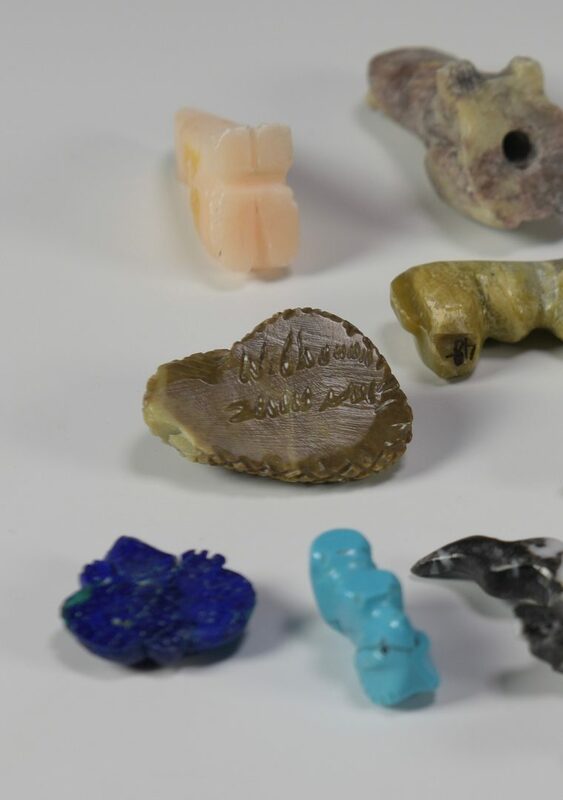 CONDITION: All items very good condition.